Ever since anime director Hayao Miyazaki retired (like four times) and his acclaimed Studio Ghibli shuttered (wait, sorry, It's open again), film critics have been announcing prospective heirs to the his legacy. Ghibli films like Spirited Away and Princess Mononoke lifted anime from the realm of kids' movies to that of laudable fantasy dramas, and some lesser known Ghibli films, like Yoshifumi Kondō's Whisper of the Heart, are straight-up dramas that just happen to be animated. 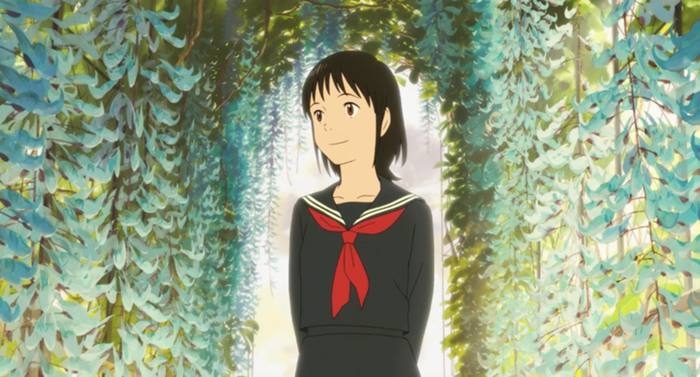 Last year we saw Makoto Shinkai's Your Name surpass Spirited Away at Japan’s box office, but this year, I'd ague that Mamorou Hosoda is giving us that Ghibli feel with Mirai, which has a run in Seattle beginning this weekend. Mirai unfolds through the eyes of Kun, a four-year-old boy traveling through time and space with his teenaged sister from the future, Mirai. (Her name means "future.") The main conflict hinges on Kun learning to accept the addition of his new sister to their family (in the time he's most familiar with, Mirai is just a baby), but through his adventures, the film sinks into the wonder of all the small instances that had to occur for Kun to be born at all. 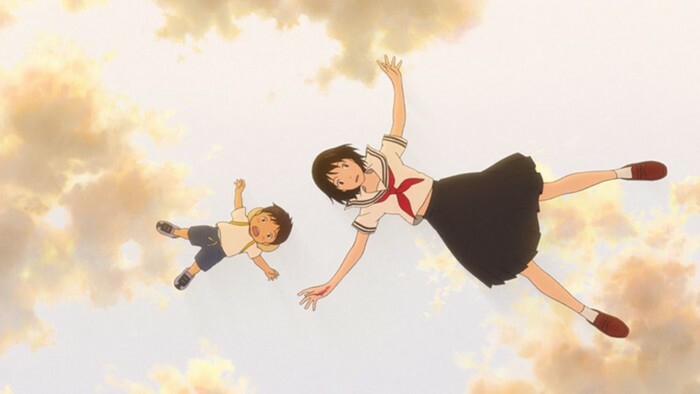 Hosoda loves time-travel and technology-based stories, and his best movies up to this point, The Girl Who Leapt Through Time and Summer Wars, used animation's visual possibilities to create unique worlds for these explorations. Much of Mirai's action happens with characters rampaging across the modernist multi-levels of Kun's family home. The home itself is architectural eye candy, possible only through animation's freedom from physical set constraints. 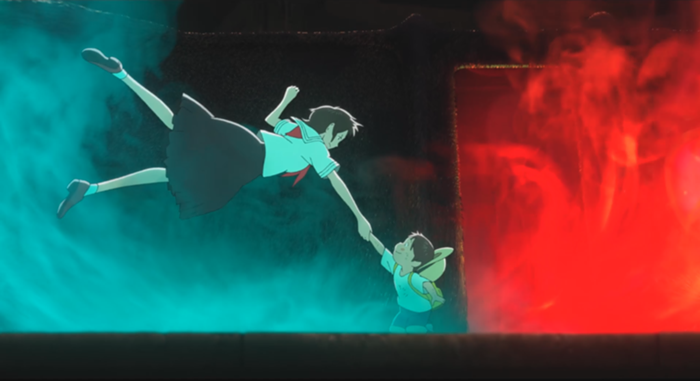 The transitions between the floors of the house facilitate all the time travel and space shifting, while also creating an obstacle course to show off Hosoda's love for capturing inelegant bodies in motion. Ghibli fans will appreciate Hosoda's attention to the beauty of nature. Though Mirai doesn't contain Miyazaki's fabulist approach to human civilization's interactions with the natural world, Hosoda certainly loves the beauty of greenery and countryside. Even the houseplants look lush. But what solidified my love for this film the most is how easy and life-affirming it is, without sacrificing any smarts. I was struck by the unique personalities of the characters (especially Kun's mother and father, who have a secondary conflict running in the background). There are no real villains in Mirai, just differing perspectives. Seeing Kun's mom get tough, feel guilty about it, but still stand up for her needs feels very progressive. Though Mirai contains plenty of action, the film refreshingly eschews a standard rise in tension. Instead it unfolds in little bites and time jumps, then clicks into place at the end for a satisfying appreciation of fortune and love. It might also be worth noting that I screened both the subtitled and English-dubbed versions, and Mirai's dub is terrific. Watch without fear.